The M.E.T.A. Professional Skills Modules are thematically organized around the major M.E.T.A. modalities (Hakomi Mindful Somatic Psychotherapy, the R-CS Model, Experiential Attachment Psychotherapy, and Experiential Trauma Therapy). Modules #2-6 stand-alone trainings assume some capacity with Hakomi basic skills, since they focus on new skills and shifts in clinical conceptualization related to character development, attachment, trauma, and/or habituated state-based treatment needs. Though these modules may be taken in various order, we generally recommend a grounding in Hakomi, such as Module #1 or a Hakomi Primer or another Introductory workshop or equivalent training elsewhere in Hakomi. For participants who have not studied Hakomi, we offer Hakomi Primers on an as needed basis so professionals new to Hakomi enter these specialized treatment modules with sufficient mindful experiential basic skills. If you are interested in one of these Primers, contact Selin Strait, Training Coordinator to discuss options. Prerequisites: Open to practicing clinicians or those pursuing a clinical degree. Previous clinical training or permission from a member of the training staff is required. Application with a $60 nonrefundable fee required. Note: 3% fee for PayPal payments. See our Financial and Withdrawal Policies here. For more than 30 years, Hakomi has been a thriving pioneer in the use of both mindfulness and somatics in psychotherapy. An elegant, comprehensive and highly effective approach to human change and development, Hakomi provides theory and techniques that are effective throughout a wide range of therapeutic applications, such as individual, couples and family therapy, and group work. Exploring carefully and mindfully the nuances of present experience, Hakomi pursues the core unconscious material that shapes people’s beliefs and behaviors. Guided by the principle of Non-violence, the Hakomi Method is a gentle, respectful, compassionate and consequently powerful form of psychotherapy that uses the wisdom of the body to pursue core evolution and deepen therapy beyond insight and words. Modern-day Hakomi incorporates the breathtaking scientific research currently emerging in the fields of neurobiology and attachment. The data not only confirms what Hakomi has long promoted about therapeutic relationship and the nature of change, but has allowed for nuanced evolution and elaboration of its framework and techniques. In addition, M.E.T.A., which describes an innovative and all-inclusive map of the Self and the various categories of woundedness that people endure, is thoroughly grounded in the evidence-based studies that are redefining the field. States of consciousness, the necessity of mindful awareness, somatic expression, and entrenchment, neural networks, the all-encompassing relational templates of attachment formation and the complicated nature of trauma are all cornerstones of this comprehensive model. The M.E.T.A. and Hakomi Institute of Oregon / Professional Skills Module 1 is an accelerated training designed for mental health professionals. This Module presents the skills and principles of Hakomi Mindful Somatic Psychotherapy and the unique intervention and treatment strategies which follow from them. Participants will be trained in the precise moment-to-moment elegance of working with mindfulness in psychodynamic psychotherapy. In addition, because Hakomi is dedicated to the aliveness of both client and therapist, great emphasis is placed both on the attachment-based nature of the therapeutic relationship, and on the ground of being from which the therapist works. How to access right brain to right brain limbic connection with the client, paving the way for unfolding into unconscious material. How to achieve the depth and exploration that makes therapy come alive. Practical methods for deeply exploring the psyche. Powerful interventions for safely working with thought, sensation, impulse, emotion, and memory, exploring their origins. How to use mindfulness directly in the psychodynamic psychotherapy process. Differentiating between traumatic and developmental issues. How to work with resistance and defenses by supporting them. Transforming core models of the world. The Hakomi Professional Training is taught over the course of six months and provides a thorough grounding in the theories and techniques of Hakomi. Application Trainings, which integrate the Hakomi Method with various topics, are available to graduates. The training is geared to clinical professionals and includes lecture, readings, live and video demonstrations, skill-based experiential exercises, and supervised practice. Trainers and teaching assistants provide direct and immediate guidance and feedback during supervised practice with an emphasis on specific clinical applications and skills development. This training is for graduate students and practicing professionals who have limited time and a desire to integrate portions of the Hakomi Method into their practices. This is an accelerated course opened to practicing clinicians or those pursuing a clinical degree. Previous clinical training or permission from a member of the training staff is required. Students must submit an application with a $60 nonrefundable fee. See above for full information on costs. A visionary contribution in bringing mindfulness to our therapeutic community. Hakomi practically invented mindfulness in psychotherapy. Hakomi is the absolute cutting edge of modern therapeutic technique. This training was extremely useful in increasing my effectiveness as a psychotherapist, but also in making me more aware as a person. I strongly recommend the training to anyone doing psychotherapy. The Hakomi training deepened my therapy practice immediately. All of a sudden, my clients were discovering whole new levels of very rich awareness. My expectations for the training were high and they were met and exceeded. In an environment which was safe and challenging, heartfelt and well-organized, I was able to enhance my skills as a psychotherapist and expand my personal wisdom and awareness. I highly recommend this training to anyone in the helping professions. 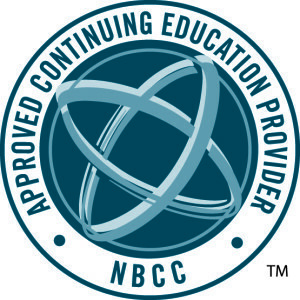 M.E.T.A., LLC, has been approved by NBCC as an Approved Continuing Education Provider, ACEP No. 6818. Programs that do not qualify for NBCC credit are clearly identified. M.E.T.A., LLC, is solely responsible for all aspects of the programs. The Re-Creation of the Self Model of Human Systems (R-CS) has been called “an instruction manual for being a human being…” It is a clearly defined map of the Self, and a comprehensive guide for being a person. R-CS holds that we are innately whole, but typically create a “committee” of limiting trance states in order to accommodate difficult life situations. The model not only describes our many inner resources, but offers a powerful set of tools both for shifting consciousness immediately, and for emerging from our perceptions of woundedness and the seeming need for constant strategizing. It also promotes a practical vision for relating from an inclusive, compassionate state of maturity and wholeness. Developed over the past 30 years by Jon Eisman, Sr. Hakomi Trainer, Founding Member of the Hakomi Institute, and synthesizer of the M.E.T.A. model, R-CS is an exquisite and readily learned system for re-empowering our ability to live from an undivided state of Selfhood in relationship with others. Drawing from world religions, humanistic, psychodynamic and existential psychology, Hakomi therapy, systems theory, interpersonal neurobiology, learning theory, and Jon’s own unique vision, R-CS offers both accurate models of human and relational dynamics, and profound techniques for embodying them. Beginning in 1984, R-CS framed the widely used description of the Inner Child as a collection of fragmented states of consciousness. Since then, R-CS has evolved into a full mapping of the Self, and a dynamic body of techniques for helping clients learn to shift their states of consciousness. Over time, this ability to shift intentionally into preferred states can lead to deep and lasting change, and personal choice and empowerment. R-CS begins with a precise description of the Ideal Self: the sense of whole and mature individuality that each of us is born to pursue. The Ideal Self is marked by such qualities as expansiveness, inclusiveness, compassion, curiosity, empowerment, various inner resources and experiential structures and aliveness. The seeds for all of these are within us at birth, a bequest from our transpersonal origins, both spiritual and genetic. As we come into human form, we are moved to sustain both an ongoing connectedness with the environment around us —including other people— and also to seek and develop our own separateness and uniqueness. The model then goes on to elaborate the specific ways that we fail to embody fully our Ideal Selves. Articulating a process that typically occurs in childhood, R-CS describes the method by which we fragment our consciousness into a collection of various sub-selves, or self-states. We do this both to accommodate the various obstacles and injuries we endure, and also to protect our ultimate integrity. The result, however, is the creation of a fragmented perception and expression of Self. Each self-state is a distinct state of consciousness, or trance, and each holds a specific perspective and set of truths about the nature of ourselves and the world. A wounded self-state, for example, might be created solely around the sense that we are inadequate, and whenever something reminds us of our limitations, we may pop into this trance and suddenly feel empty, and have thoughts of failure. A Strategic self-state, on the other hand, might have as its sole purpose the task of lying to ourselves and others to prevent our feeling inadequate. Because it is a state of consciousness, we will believe, in any state, that such perceptions and feelings are inarguably “The Truth”. As we move from state to state, our feelings and orientations shift, and rather than sustaining a strong and integrated sense of purpose and wholeness, we roller coaster from one mood and belief to another. This fragmentation of the Self results in the ongoing perception of woundedness and conflict that most of us typically endure. What makes R-CS so useful is not only that this map of the Self is presented in a clear and readily understood form, but that it offers specific, easily learned methods for both identifying and shifting these typically unconscious trance states. Viewing the Self as innately resourced, R-CS seeks to identify fragmented states of consciousness —held as neural patterns in the brain and body— that perpetuate both our illusory sense of wounding, and the limited behaviors that follow. It then works to allow the client to rediscover already existent pathways for preferred and expansive experiences. R-CS does not focus on the content of our beliefs, nor on the history of how we got to be who we are. Instead, it attends immediately to the awareness of which state of consciousness we are in. By inviting people to choose immediately to shift into a different state, R-CS provides seemingly magical relief from our painful feelings and self-critical attitudes. Because the essence of our Ideal Self is already present, therapy is seen not as an exploration and gradual healing of old wounds, but rather as the momentary self-implemented choice to embody an already existing preferred way of being. As a clinical approach, then, while R-CS employs Hakomi Principles and techniques, it then nevertheless asserts that, unlike most process-oriented methodologies, we do not necessarily need to access and explore the history and content of our woundedness. Instead, holding that our beliefs, perception and behaviors are state-based expressions of neural patterns held in the nervous system and body, R-CS works to develop the ability to shift the limbically held state of consciousness we are in, but not explore or resolve the content of those states. This is because our outdated, though still triggered and experienced, perceptions of woundedness exist only as neurological dispositions to reoccur. Because they activate as frequently as they do, we tend to think of them as actual internal structures. By supporting the client to reorient his or her focus towards preferred self-perceptions, R-CS facilitates an instant shift in neural location, and allows the client to embody and reinforce immediately the preferred, already existent, being state of the integrated Self. In short, R-CSworks to effect directly an immediate shift in both consciousness and “feeling state” [the limbic anchor of our sense of identity]. As long as the person remains in the preferred state, his or her perceptions, attitudes, behaviors and so on –his or her sense of identity— will be experienced as self-affirming. 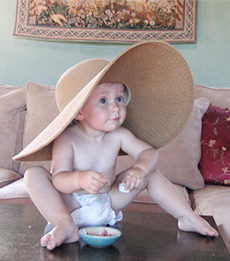 Of course, this neural relocation process requires practice and time to stabilize. Many of R-CS’s perspectives are validated by the ongoing clinical research in brain architecture and function, and attachment theory. The primacy of the Limbic system and its ability to inundate us with feelings, the abstract meanings that our Cortexes impose on those feelings, and the way patterns of perception and behavior are lodged in neural networks are a few examples of how the R-CS model describes inherent biochemical events that shape our lives. As a result, the R-CS model can be described both in qualitative and quantitative terms —as a poetic, psychospiritual map of Selfhood and transformation, and as the logical personal expression of our physiological processes. R-CS Training provides participants with the theory of R-CS, and the application of specific techniques to accomplish this enormously effective avenue of transformation. Topics presented include the ability to Locate in and live from the Ideal Self and to pursue the Organic Wish; embodying and using fully the 7 Bodies of Experience; mapping the Inner Committee; identifying, celebrating and discriminating self-states; locating & shifting states of consciousness, trances, identifications, and boundaries; brain research as an explanation of R-CS’s effectiveness; unique therapeutic roles adopted by R-CS practitioners; and the empowerment and evolution of true Selfhood. Because it so accurately reveals the underlying elements of any human endeavor, R-CS is applicable in virtually every field in which people participate. Relationships, the arts, athletic performance, politics, parenting, career —all these find essential insights and useful approaches within the model. Thank you for a truly Transformative Training. 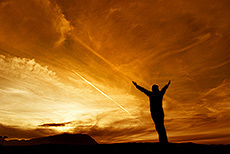 I had a quantum leap in my understanding of what change really is, and I so appreciate and value your brilliant model. Already I am going to new and wonderful places with my clients. [The R-CS work] has continued to have a profound impact on both my practice and personal life…I’m happy to say I’ve been going the distance with what I’ve learned from you, relying on blending intuition with courage. It’s a combination that keeps me at my own cutting edge. An exceptional blend of intelligence, great determination and hugeness of heart… Jon’s RC-S model embodies and unleashes an unflagging faith in people’s goodness and power. I continue to be tremendously grateful for the influence of this work on my own development as a therapist, teacher and human being. [The Training] has definitely advanced my psycho-spiritual understanding and consciousness. Thank you for your gifted instruction and creative genius. I really think you’re onto something with this R-CS work. Advanced Clinical Maps provides sophisticated therapeutic maps for guiding clinical strategy. This module includes Hakomi’s gentle reframing of Character Theory. Through reading, dialogue, the R-CS map of the Self, and experiential exercises, participants will gain familiarity with the basic childhood patterns of developmental wounding and defense. This training also covers the Hakomi Sensitivity Cycle, a simple yet effective description of the process by which people accomplish any task. Participants will learn the related process stages (Insight, Effectiveness, Satisfaction and Relaxation), and the typical barriers to success that form through developmental wounding. Integrating the Sensitivity Cycle with Character, participants will obtain an immediately applicable matrix for assessing client behavior, including specific interventions for engaging with each Character pattern and barrier. We also focus on the practitioner’s ability to discriminate the various kinds of wounding that clients present, and the specific treatment orientations and strategies needed for each. Referencing spatial and movement dynamics, Trauma, Attachment, fragmentation of consciousness and somatic habituation will all be discussed, with an emphasis on the practitioner being able to recognize, integrate and flow among modalities. Attention will also be paid to the particular working style of each therapist, in an effort to allow everyone to work from their strengths while developing their range. Course material will be presented through a combination of readings, lecture, experiential exercises, demonstration and supervised practice. M.E.T.A.’s customized and experiential training style makes this module appropriate for seasoned clinicians, as well as professionals entering the counseling field. M.E.T.A. trained therapists are skilled at working with clients using the somatically informed, mindfulness-based methodology of Hakomi and R-CS. These approaches allow for the reworking of core material, limiting beliefs and templates held subconsciously in the neural networks of implicit memory. As therapists, we require additional awareness and skillfulness to work with trauma activation and to promote the reworking of traumatic memory. The M.E.T.A. Experiential Trauma model synthesizes the best emerging research and clinical approaches to the treatment of trauma with M.E.T.A.’s powerful principles and techniques: grounded in mindful awareness and an attuned therapeutic relationship, richly experiential and somatically oriented. In this tutorial, we will offer theory, assessment, and treatment skills to support your clients in the process of trauma healing and recovery. M.E.T.A.’s Primary Attachment Psychotherapy is an accelerated training designed for practicing mental health professionals and graduate students in counseling, psychology, and related helping fields. The curriculum offers skills and principles for working mindfully, experientially and directly with attachment related wounding in clients. It is based in classic attachment theory, Hakomi Mindful Somatic Psychotherapy, as well as interpersonal neurobiology research and its applications to relational change processes. Participants will be trained in exploring and addressing attachment wounding in the precise moment-to-moment relational dynamics within the client, and between client and therapist. In this both subtle and powerful experiential territory, we will work with applied eyes-open and eyes-closed mindfulness and emphasize the personhood of the therapist in the treatment process. This is all in service to supporting client security of self and mitigating client insecure attachment templates. How to keep the relationship to relationship at the center of treatment. How to recognize, uncover and go toward attachment dynamics. How to support the transformation of attachment dynamics. How to anchor security of self. M.E.T.A. believes in learning by doing and factoring in the whole student. As such, teaching methods include lecture, discussion, live and video demonstrations, experiential exercises, in-class skill practice, and supplemental readings. All M.E.T.A. trainings are taught by certified Hakomi Trainers and/or Teachers. There are always also M.E.T.A.-trained teaching assistants who themselves are professionals in private practice. Schedule to be announced soon! Therapists are sometimes hesitant about working with couples, claiming the dynamics remain murky and feeling it is hard to make a difference fast enough. Where the straightforward intimacy of one-on-one interactions seems relatively easy, the complexity of working with two becomes confusing and daunting, even overwhelming. Couples can come in with long-ingrained patterns, and in crisis, with one person already having one foot out of the door. There are all kinds of tangles and knots, ingrained animosity, insistent projections, and the feeling by the therapist of being an outsider to the dance. To address this, the M.E.T.A. Advanced Couples Workshops offer a unique immersion in the nuances of working with Couples. During two training weekends, we will present distinct orientations to working with relationship: working experientially with stuck systems; disengaging from trance states to reclaim innate resource; and re-embodying our foundational capacity for connection. Each weekend will describe a unique perspective for understanding the nature of relationships, and will provide immediately applicable skills for helping partners of any sort in finding both meaningfulness and the power to engage lovingly and successfully. The specifics of each workshop are outlined below. We hope you’ll join us as we explore this fascinating and often misunderstood topic. The science of Attachment Theory allows couples direct access to the cues and responses that drive their relational dynamics. In this advanced workshop, practitioners will learn to track and respond to the limbic states couples during intimate interactions and to support the embodiment of corrective limbic intelligence. Material will be presented through short talks, Q & A, experiential exercises, and live demos. Using both Hakomi mindful experiments to stop and help couples do something different than they usually do in their stuck places, and aspects of Jon Eisman’s R-CS model of human dynamics, this workshop will show an experiential, mindfulness-based way of working with couples. We try to help couples stop doing what doesn’t work, try something different, repair damage and reconnect in a deeper way. Hands-on exercises and live demos will bring the material fully to life. How couples work differs from individual work. Helping couples take responsibility for their own part in their stuck and hurtful patterns.